A wide selection of beautiful beaches, charming towns, isolated fields, and small artisan markets – all this and more attracts a great number of visitors to Santa Eularia. The second most populated municipality after Eivissa, Santa Eularia (in Catalan) or Santa Eulalia (in Spanish) occupies the most eastern part of the island. It has a beautiful and peaceful location, yet, in a very close proximity to the Ibiza Town and the airport. Notably, the region received its name after the only river on the Balearic Island with a constant flow that runs through it. Here you also find an amazing natural setting with small islets, green hills, and valleys covered with orchards, pine forests, and flowering fields. Santa, as the British residents fondly call it, is not only the perfect family holiday but also the second-home destination on Ibiza. Properties in the region tend to be residential and include many authentic Ibicencan fincas, recently renovated. Most of the inhabitants prefer to live in a beautiful rural area outside the city. There is a great selection of nice houses offering a wonderful mixture of modern features with the look of the original country cottage. Prices on Santa Eularia property market are lower than the island’s regular. The average price for a house in the area is Average price per sqm. in Santa Eularia (Municipality) €6,482 -1% properties#: 490 last change on: 23 Apr 2019 €6,482 per square meter and the average price for an apartment hovers around Average price per sqm. in Santa Eularia (Municipality) €4,230 -1% properties#: 267 last change on: 23 Apr 2019 €4,230 per square meter. Some investment opportunities are available, at an average price of Average price per sqm. in Santa Eularia (Municipality) €5,031 0% properties#: 57 last change on: 23 Apr 2019 €5,031 per square meter. 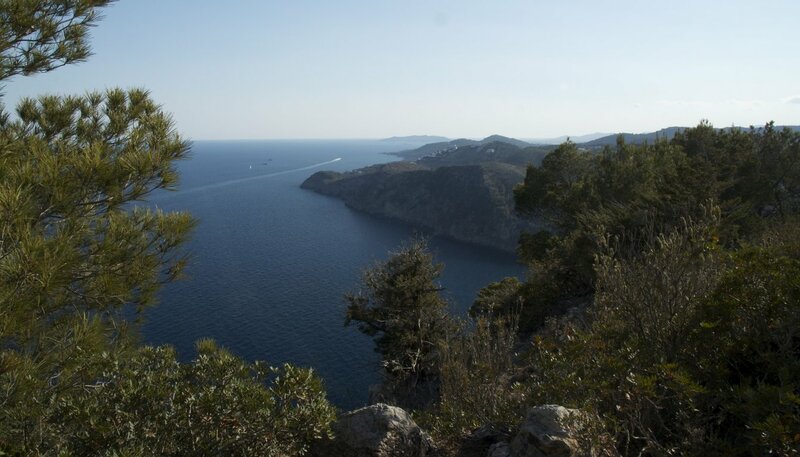 A view of the Mediterranean Sea has a higher value across the whole Ibiza. There is a premium value of 110% for a house and 25% for an apartment with a privileged sea view position. The most renowned agencies on Santa Eularia property market are Luxury Villas Ibiza exceeding 120 listings, followed by Ibiza Properties for Sale and ImmoAbroad with more than 60 listings in the region. Santa Eulalia with its year-round thriving community has a well-established reputation as a cultural and gastronomic center of Ibiza. Art galleries, some of the finest restaurants, exclusive shops do not close even in winter months. This ensures that life in the municipality is led at a rather slower and more relaxing pace. There are some excellent bars and night clubs too, but the nightlife is more laid back. The municipality is a home to a lovely coastline with numerous coves and cliffs. And, here you find some of the most quality sandy beaches with crystal clear waters. The main beach of Platja de Santa Eulalia is bordered by a fantastic maritime promenade and is a perfect spot to relax. More adventurous visitors enjoy a great number of water sports available, such as sailing, water skiing, parasailing, kayaking, windsurfing, jet skiing, and diving. Other the most favorite nearby resort areas include a spacious sandy beach of Cala Llonga, a natural and unspoilt surf spot of Cala Nova, and a great headway for relaxation or windsurfing of Cala Martina. Also notable is the neighbouring S’Argamassa, a small sandy beach with large water sports centre, trendy bar and the famous Nikki Beach Club. In the region, you also find some nautical facilities. Marina of Puerto de Santa Eulalia with its 755 moorings offers a large selection of services for boats and yachts. The port area also features bars, restaurants, and shops within its large commercial centre. You also will enjoy plenty of inland activities available in the region. There are numerous hiking trails for the countryside and wildlife lovers that allow discovering the charming interior of the island. For golf enthusiasts, the only course in the island, Club de Golf Ibiza, is found in Santa Eularia on the way to Cala Llonga beach. It consists of the brand new 18-hole course and older 19-hole course. The latter previously belonged to the now-closed Roca Llisa Golf Club, opened twenty years earlier. These courses are great for players of all levels of handicap. Together they provide an outstanding 27-hole golf-playing experience in the Balearic Islands. The towns and villages in the municipality are small, quiet, and have charming churches. There are many sights and attractions including historic buildings and towers. 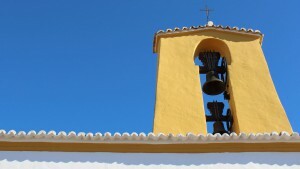 For example, the village of Jesus is said to have the oldest church of the island. And, the alluring small town of Sant Carles de Peralta is notable for its whitewashed church with the traditional-style arcade. It is also charming for its almond, carob, and fig trees spread in a rural area of enchanting farmhouses. The two biggest and most visited open-air hippy markets on the island, Punta Arabi (in Es Canar) and Las Dalias (in Sant Carles), are held in this region. Especially popular is the enormous Punta Arabi that offers a fantastic choice of clothing, jewellery, crafts, and antique items. Here, you will still spot some of the original hippies, who started this market in the 1960s.